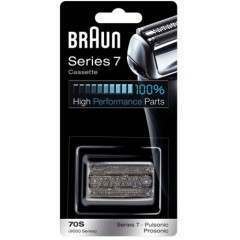 The Braun Series 7 is a serious step up. Engineered with class and built to last, it offers unbeatable results whatever your skin type. With 5 modes going from sensitive to turbo, it achieves maximum closeness with minimum irritation, making it great for those with sensitive skin. 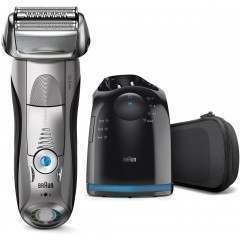 This shaver does in one stroke what others do in two. 10,000 micro-vibrations means it captures more hairs with every move. 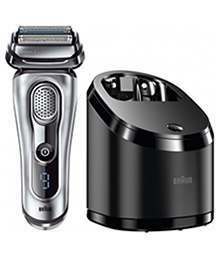 These intelligent features offer the most flexible shaving system for optimum results. Want more? The Series 7 is also available with a clean and charge station, providing you with a like new razor every morning. Simply pop it in the stand and let it do the hard work, giving you a 10x more hygienic clean than rinsing under water. View the full Series 7 range below and don’t forget those all important replacement foils. 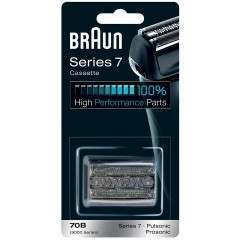 Or if you are looking for an upgrade then why not opt for the Series 9, for the next level shaving experience.